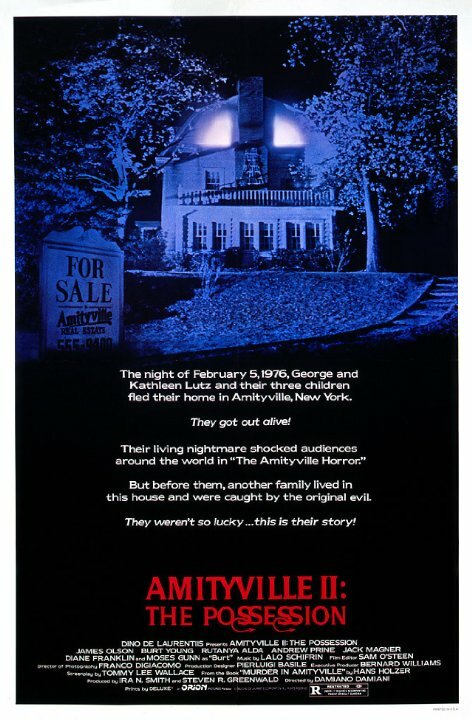 Perhaps one of the most underrated sequels in horror cinema history is “Amityville 2: The Possession,” the 1982 follow-up to the classic haunted house movie. What makes “Amityville 2” so great is that it is a film that can be watched and enjoyed without having to see the original. Unlike your standard horror sequel this film has its own identity and is actually a prequel to “The Amityville Horror.” With its solid cast and convincing special effects, it truly is a great film, in fact some might say that it’s an even greater film than its predecessor. The film revolves around the Montelli family who move into the same haunted house where all of the events of the first original “Amityville Horror” will eventually take took place. The family is headed by the abusive and alcoholic father Anthony, played extraordinarily by Burt Young. The Montelli family soon realizes as mysterious things happen that there is an entity in their house. However it is not an ordinary ghost inhabiting the house but a demonic presence intent on destroying the family. And it will do it by possessing the teenage son Sonny. The best way to imagine this film is “The Amityville Horror” meets “The Exorcist.” To be honest this film rips off of “The Exorcist” a lot. It has several elements that “The Exorcist” did including demonic possession, exorcisms, and priests. While this film is not as powerful as “The Exorcist,” it is still enjoyable and fun nonetheless. The scenes that show the exorcism of Sonny features some pretty good special effects too, such as the way that the demon has transformed Sonny into an ugly looking creature. If you like demonic possession/haunted house type of films, you should definitely check this one out and see one of horror cinema’s most underrated sequels. While the original “Amityville” didn’t really feature many special effects, this one goes straight for the throat and includes elaborate visual effects, monsters and exorcisms. What makes this film so underrated is that not many people know of it or have seen it and that is a shame.